Everything you need to join the movement! We’re continuing our guided tour of the free resources available to church staff and volunteers through the new Key Ministry website. Today, we’ll direct you to our FREERESPITE manual…a comprehensive resource for churches seeking to serve families of kids with disabilities by meeting a pressing and immediate need. Why would a church want to consider regularly hosting respite events? Raising a child with has special needs can be physically, emotionally, and financially draining. A limited amount of respite care may be available from government-funded agencies, but care is expensive, waiting lists are often long, the quality of care can be very inconsistent, and middle-class families can have great difficulty accessing care. According to information compiled by the National Resource Center for Community Based Child Abuse and Neglect Prevention Grants (CBCAP), 75% of families with children ages 0-17 receiving support from the Supplemental Security Income (SSI) program because of a disability had unmet respite needs, but only 8% were accessing respite care. Children with disabilities are almost four times more likely to be victims of neglect, physical abuse or emotional abuse, and almost three times more likely to be victims of sexual abuse than children without disabilities. Churches can step in the gap to meet an immediate need, provide an opportunity for members and attendees to serve others in a practical way and connect with families who are more likely than others in their communities to lack a meaningful connection with a local church through offering respite events. What do respite events look like? They generally look like a party! Respite events are typically held on weekend nights for approximately three or four hours. Each guest with a disability, (as well as their typically developing siblings) is assigned a volunteer buddy. The volunteer and the guest spend time doing fun activities throughout the church while the guest’s parent(s) or caregivers enjoy the evening out for some well-deserved time off. This might mean a romantic dinner and a movie, a nap, a trip to the spa, or time to complete errands…whatever the parent/caregiver desires. 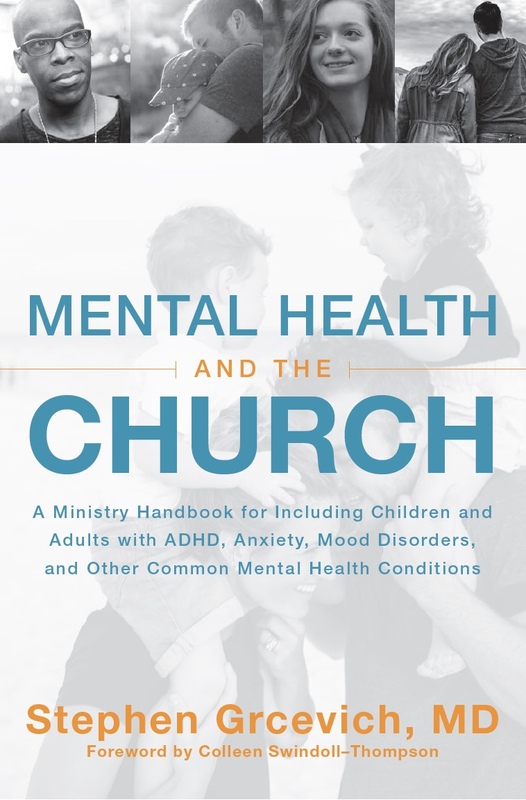 In order to access all of these FREE resources, follow this link to the website, click on the “Resources” box in the toolbar at the top of the home page, and (if you haven’t already) register for the site. We’ve love to have your church consider partnering with us as we seek to expand the FREERESPITE movement. We’re seeking to make free, high-quality, church-based respite care available every weekend in every major metropolitan area in the U.S. If you’re interested in joining us, contact Rebecca Hamilton (rebecca@keyministry.org). 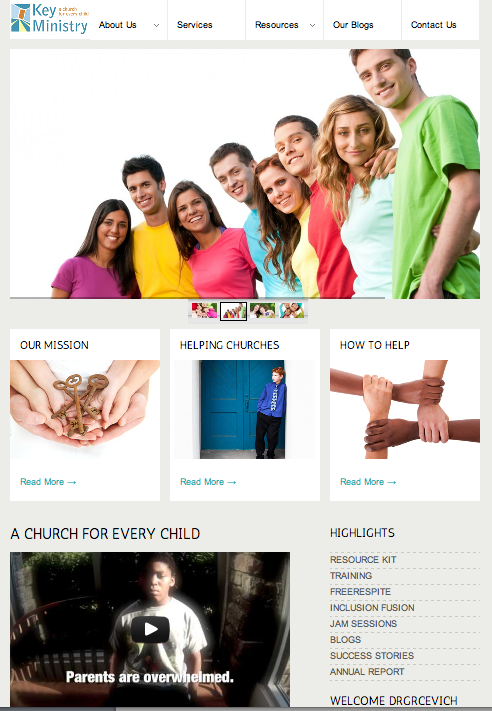 We need you to help us spread the word about Key Ministry and our new website. Please forward the link to the website to any church staff or volunteers interested in serving kids or teens with disabilities and their families. 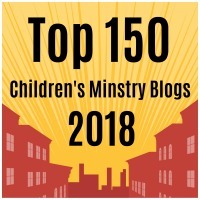 This entry was posted in Families, Key Ministry, Resources and tagged children's ministry, churches, Disability Ministry, Family Ministry, FREERESPITE, Key Ministry, missional living, respite care, Special Needs Ministry. Bookmark the permalink.